If you notice more fine lines and wrinkles on your face as you age, you’re not alone. 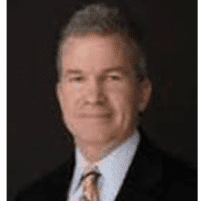 Dr. Patrick T. Boylan offers safe and effective Botox® injections to reduce the appearance of wrinkles for patients at Lake Physical Medicine in Mentor, Ohio. Many patients report improved confidence following Botox treatment. If you’re interested in treating facial wrinkles with Botox injections, book online now or call to schedule an appointment to discuss your options. How do facial Botox injections work? Botox injections are made from a neurotoxin -- Botulinum toxin -- that reduces the appearance of wrinkles by temporarily paralyzing small muscles in the face. Botox stops signals from traveling between the nerves and the muscles, causing the muscles to stop moving, thus softening the appearance of wrinkles in the affected skin. Botox injections don’t require anesthesia and take around 10 minutes to complete each time. Dr. Boylan uses a fine needle to inject Botox into specific muscles, and the discomfort is minimal. However, if you’re worried about discomfort during the procedure, Dr. Boylan may use a local anesthetic on the treatment area. You return home the same day as the procedure with no downtime at all. You’ll typically start to see results 24-28 hours after your injections, while the full effects may take up to one week to appear. After Botox treatment, your skin will look smoother and tighter, with diminished fine lines. Over time, the underlying muscles become smaller, and wrinkles may be easier to treat with each round of injections. What facial wrinkles do Botox injections treat? Botox injections effectively reduce the appearance of dynamic wrinkles on the face, or those that move with your facial expressions. “Crow’s feet” around your eyes should respond well to Botox treatments. Forehead frown lines and lines between your eyebrows are commonly treated with Botox too. Both men and women can enjoy the benefits of Botox treatments. If you have a neurological condition, Dr. Boylan assesses your medical history to make sure Botox is right for you before beginning treatment. What results can I expect from Botox injections? Botox injections are one of the most convenient facial cosmetic procedures, and most can expect Botox results to last around four months. While Botox injection results aren't permanent, the treatment is repeatable. As muscle movement gradually returns, the wrinkles start to appear again, and you can come in for your next round of injections. Dr. Boylan estimates what kind of timeline you can expect in your specific case.